"We are the department of Asian Domain Registration Service in China. I have something to confirm with you. We formally received an application that a company which self-styled "Brighty International Co.,Ltd" were applying to register "[our client’s trademark]" as their Net Brand and some domain names through our firm. Now we are handling this registration, and after our initial checking, we found the name were similar to your company’s, so we need to check with you whether your company has authorized that company to register these names. If you authorized this, we will finish the registration at once. If you did not authorize, please let us know within 7 workdays, so that we will handle this issue better. Out of the time limit we will unconditionally finish the registration for "Brighty International Co., Ltd". Looking forward to your prompt reply." We do not recommend that you respond to these types of emails. The next request from the Asian Domain Registration Service will be for your credit card number, so that they can preemptively register the trademark at issue (and your other key brands, as long as they are at it) as "Net Brands." You might even find yourself in a bidding war to register your "Net Brands" with the dastardly Brighty International Co., Ltd. However, these emails serve a useful purpose in that they are a good reminder of the importance of self-policing the manner in which your company name and key product and service names (collectively referred to in this article as your "trademarks") are being used and registered throughout the world. Trademark self-policing commonly occurs informally. An employee runs across an unauthorized use on the Internet or sees it at a trade show. A customer or business associate notifies you that they’ve seen your trademark being used by someone else. Your customer service department gets complaints about a product or service that is not yours. However, informal self-policing doesn’t necessarily enable discovery on a timely basis. Further, there could be other uses or registrations of your trademarks that are less likely to surface, particularly if your business is an infrequent user or non-user of social media – for example, Facebook pages or Twitter handles that incorporate your trademark. Potentially more detrimental to your business, however, is the finding that your manufacturer, your distributor, or a completely unknown party has elected to register your trademark in a foreign country. We have seen this, and/or the registration of URLs consisting of our clients’ trademarks and a country-specific domain ending (for example, "koleyjessen.asia") occur in various countries throughout the world, but particularly in China and Taiwan, where manufacturing and export activities commonly occur. • Set a "Google Alert" for each trademark. You will receive an email with a link to the mark when it pops up in news articles, etc. To find out more, simply search "Google Alert" using your favorite search engine. • Calendar periodic points throughout the year in which you will spend some time searching for your trademarks using various search engines. • Conduct searches on Twitter and Facebook for your trademarks. • Conduct searches for URLs containing your trademarks. This can be done on the website of any domain name registrar or via www.whois.net. • Consider conducting more formal searches for foreign trademark registrations. Our Firm subscribes to a private service that enables us to inexpensively search for trademark registrations in many foreign countries. We also have foreign associates throughout the world that can conduct more comprehensive searches. Periodic investigations of the types described above can help you defend your rights in your valuable trademarks. 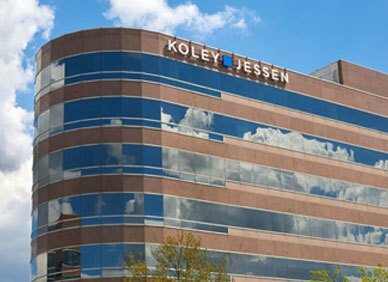 If you have any questions, please contact any member of the Koley Jessen Intellectual Property Group for more details.